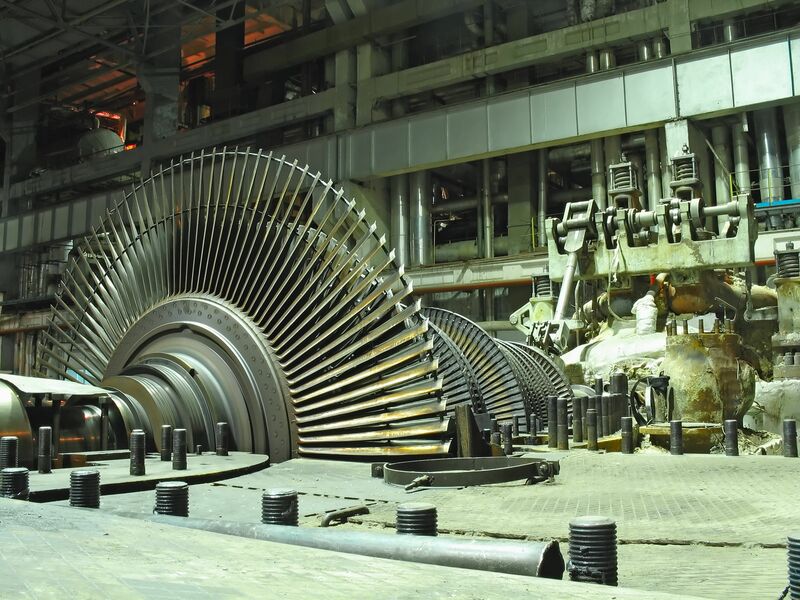 Steam turbines are essential to the production of electricity. In fact, over 80% of global electricity is produced by steam turbines. Because the world is so reliant on steam turbines, it’s critical that they experience as little downtime as possible. However, steam turbines do often experience downtime because the steam that powers these turbines also makes them vulnerable to excessive water contamination and issues with demulsibility. Inside of a steam turbine, a shaft and bearing provide the rotational force used to generate energy. 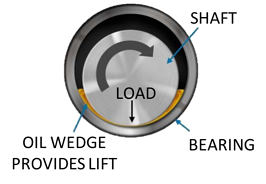 The bearing sits inside the shaft on a wedge of turbine oil that can measure, in some applications, around 0.02 or 0.1 mm thick. With shafts weighing up to 100 tons and rotating around 3,600 times per minute, it’s critical that the lubricating properties of this oil stay intact. Due to the nature of a steam turbine, it’s only natural that this lubricating oil takes on some water. Not all water in turbine oil is bad. There are three types of water contamination: dissolved, free and emulsified. Turbine oil naturally holds a bit of water in it, this is called dissolved water and it’s akin to humidity in the air. While this type of water can promote corrosion and breakdown, it doesn’t typically become a problem for systems until the turbine oil, which has a finite ability to dissolve water, reaches its saturation point. Once the oil does reach its saturation point, then we start to see what is known as free water. Instead of holding the water in solution, the oil will start to separate from the water. Because water is denser than oil, the water will fall to the bottom. Engineered solutions for removal of free water do exist -- either by using gravity/centrifugal separation, oil suction or coalescers. If not addressed, free water can be corrosive, promote breakdown or dropout of additives and affect the load-carrying and lubrication capacity of oils. The third type of water contamination is emulsified. If turbine oils contain their water-oil separation characteristics, or demulsibility, then emulsions are typically not an issue. However, the demulsibility characteristics of turbine oils can break down, leading to emulsions. Oil and water naturally separate, due to their chemistry. Water has very strong polarity, its molecules have both positive (+) and negative (-) ends. These ends are very attracted to each other, meaning that water tends to stick together very well. Oil, on the other hand, doesn’t have much polarity at all. It’s actually non-polar, which makes for weak attraction and a tendency for oil to be unable to overcome the attractive nature of water. This is generally why oil will separate from water -- polar water sticks together so well, it pushes the non-polar oil away. This oil-water separation is known as demulsibility and in new oil, demulsibility is very good at keeping oil and water separate, even when agitated or mixed together. In the service of a steam turbine, however, turbine oils can break down and be inundated with polar contaminants. These polar contaminants will interfere with the demulsibility of the oil and make it harder for oil and water to naturally separate. Add in a little agitation, and oil and water will form emulsions. Without good demulsibility, these emulsions will become stable. 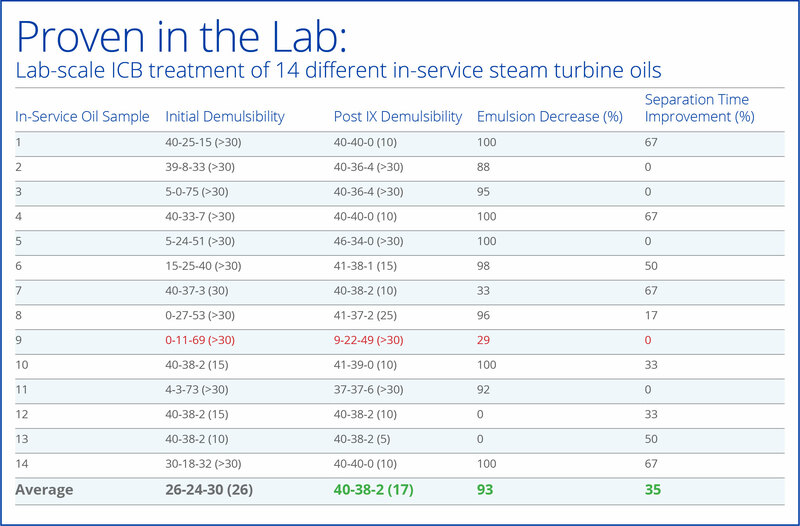 Stable emulsions are a destructive force on steam turbines and their oil. Stable emulsions are the cause of many problems. They prevent the turbine oil from providing the lubrication that allows for the hydraulic lift a shaft needs inside a bearing, which can lead to corrosion and wear. Additionally, when stable emulsions are detected in a turbine oil, it is no longer in spec and must be condemned. Frequently replacing turbine oil and critical components as well as dealing with the downtime and loss of productivity both require, results in nothing but adding costs to the bottom line. Fortunately, these problems are preventable by restoring good demulsibility. 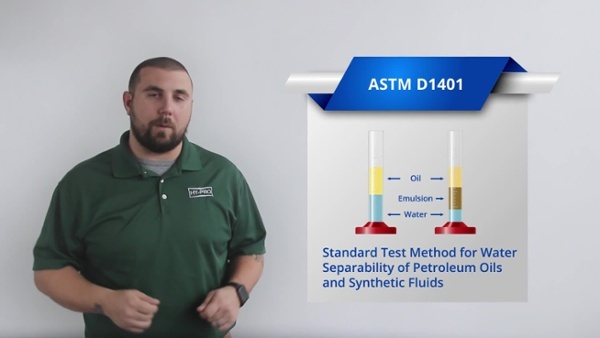 Solutions for the failing demulsibility/stable emulsions problem range from replacing the oil to “sweetening” the oil by topping it off with alternative lubricants or aftermarket additives. While replacing the oil will work -- it’s new after all -- this solution is expensive. Sweetening the oil can only add to the problem by complicating the chemistry of the oil and creating issues that only compound over time. We’ve found the key to preventing stable emulsions from forming is not to complicate the oil chemistry, but to simplify it. To restore demulsibility, we must remove the polar contaminants that cause stable emulsions to form in the first place. 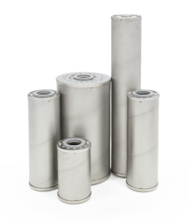 Engineered ion exchange resins, or ICB™ technology, selectively remove polar contaminants from the oils. ICB™ technology can help restore in-service oil by decreasing propensity towards stable emulsion formation, decreasing the separation time of oil and water and removing harmful contaminants like acids, metals and varnish. This technology restores in-service oils to a “like-new” state, with good demulsibility properties and has been used in turbine applications for years. When in-service oils were run through ICB™ technology in a lab-scale treatment, 13 of the 14 oils tested showed improvement in emulsion formation and oil-water separation time. Due to the nature of steam turbines, some water contamination is expected. However, when this water contamination starts to affect the demulsibility of turbine oils, critical components can start to fail, resulting in downtime and costly expenses. With ICB™ technology, turbine oils can be restored to a “like-new” state and ensure that steam turbines continue to operate efficiently in their critical work of global electricity production. Want to learn more about ICB technology? Click below.